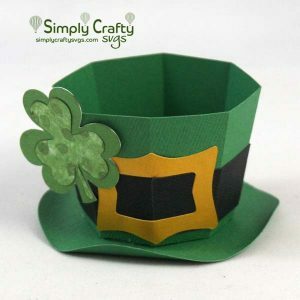 Make a leprechaun theme St. Patrick’s Day box with this Leprechaun Box SVG File. 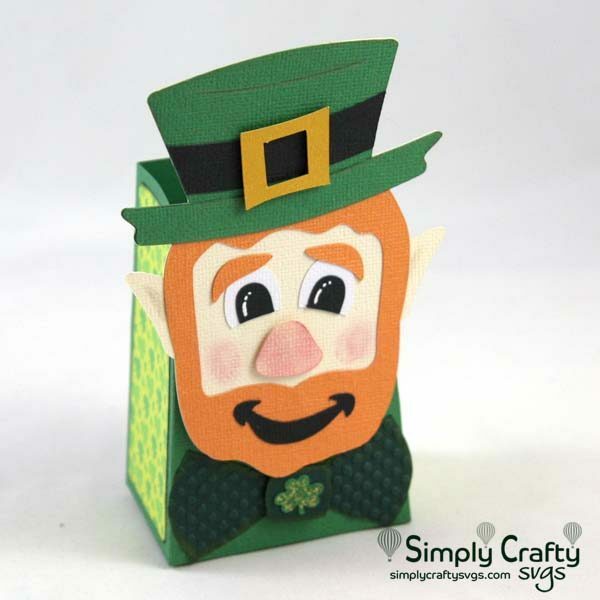 The box is basic, but the star of the box is the leprechaun with his tie. 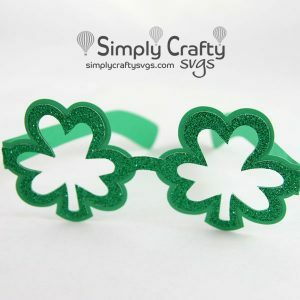 It would make a great addition for a St. Patrick’s day party or for a special gift. 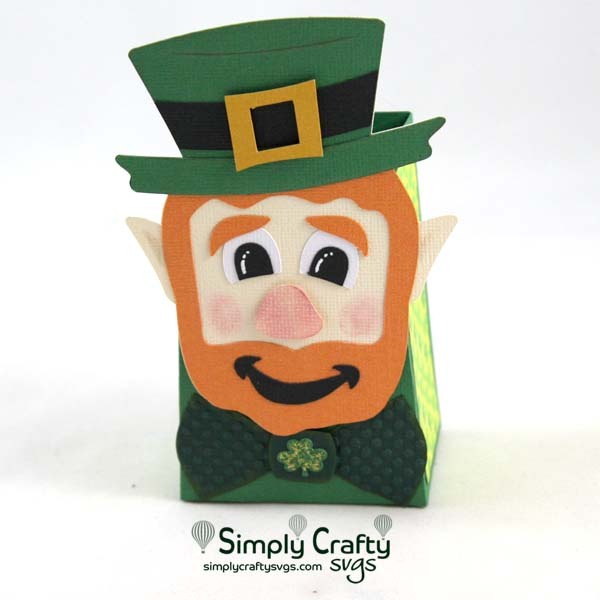 Finished size of box with leprechaun is 3.3” x 5.75”. The box pieces are sized to be able to cut on (2) letter-size (8.5″ x 11″) cardstock or (1) 12″ x 12″ cardstock. 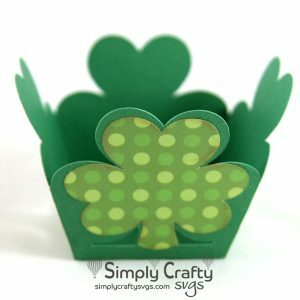 American Crafts 12 x 12 inch Cardstock, Evergreen and Vanilla. Miscellaneous other cardstock used.